In a short period of time, social media has become the way that everybody markets whatever it is they have to sell, including musicians. The majority of people are spending huge amounts of time on platforms like Twitter, Facebook, and Instagram, so putting your message on one (or all) of those is one of the best ways to get the word out. 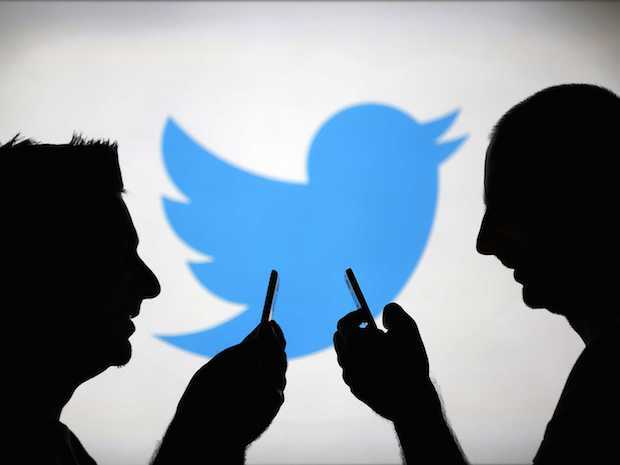 Advertising on Twitter can be especially useful and effective, if done correctly. Using Twitter has plenty of benefits, including that anybody can do it, and that setting up your campaign is relatively simple. There are a few questions you’re likely to have going into your first Twitter advertising campaign, and here are the short and simple answers. What kind of ad do I want? The first real step is to figure out what kind of ad is going to work for you and your band, and to do that, you need to identify what it is you want to do with your campaign. To decide on this, you’ll need to come up with one single goal. I know that you’ll want to get the most bang for your buck, and I know you want to hear that launching ads on a platform as popular as Twitter will make you a star, but that’s not the case. In fact, if you’re not single-minded in your approach, you could end up spending money and having nothing to show for it at the end. Pick one goal that you would like to achieve with your campaign. Are you looking to increase your followers? Do you want to build up your email newsletter list? Are you touring in a certain town and want people to know? Is there some new music to promote? All of these are good enough reasons to use Twitter advertising, but not all of them combined... not all at once. Think about your marketing campaign the way that a soda brand would, for example. When you see an ad for Coke, they are trying to sell you Coke, and that’s it. The Coca-Cola company owns thousands of brands, but they don’t try and shove them all down your throat at once, because that wouldn’t work. When you’re working with a quick medium like advertising – especially on a platform like Twitter, where every character is being counted – go with one flavor (or song, or video, or tour stop) and stick with it. Once you’ve chosen what your goal is, fit it into one of Twitter’s categories: Followers, Website Clicks (or Conversions), Tweet Engagements, or set something up a little more custom, which might require a little more learning if you’re not used to this world just yet. This is entirely dependent on what your one goal is. If you’re trying to get people to listen to your new single, simply say that in your ad. If you want people to sign up for your email list, don’t be shy about it! Twitter ads, like all tweets, are short, so you don’t have a lot of wiggle room to convey anything other than your main objective. Use action-oriented language, such as "get," "sign up," "come see," "go try," "listen to," and so on. If you are direct and to the point, people will understand what they are being asked to do, and that’s pretty much the best you can hope for from 140 characters. Remember, you can always launch more than one campaign in the future as long as you space them out a bit. Also, keep in mind that doing one campaign well can earn you fans that might stick with you – and even if you only pick up a few, they can be very valuable. I’ve been using the phrase “ad campaign” so far in this piece, and while that sounds daunting and expensive, don’t worry – it doesn’t have to be. You can set a spending limit, both per day and for the entire campaign, so you never have to dole out more than you have. Having said that, keep in mind that the more you spend, the more effective your dollars will be, but you probably knew that already. For example, if you just want to send a tweet out into the great void of the internet, you can, and it has a potential reach that would make your mouth water. 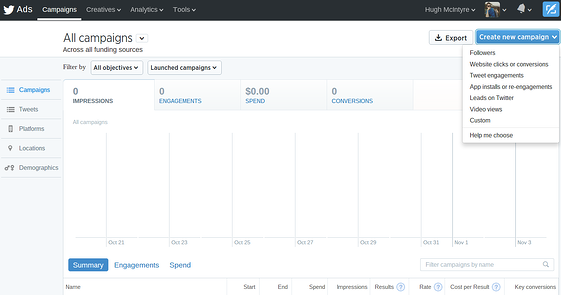 I just set up a fake campaign, and with a $50 maximum, Twitter says my ad could be seen by almost 150 million people. That’s an incredible figure, but remember that all those people would only glance at your words, if they even see it at all. Once you've created your campaign (new followers, etc. ), you can get into demographic and cost. Twitter makes it fairly easy, and you can't miss it. When I made my campaign more specific – from "everyone" to "English speaking people in the Boston area interested in concerts and music festivals," that same $50 would now reach just 24,000 people with the same tweet. That makes every impression more expensive, but these are people who are much more likely to be interested in what you’ve got to say as a musician, so it'll be worth your while.